English is one of the most widely spoken languages in the world. It has now become the preferred language for both personal communication and business purposes. But for many people, learning this language is a challenge. English seems to be a very difficult language to master with all its irregularities, exceptions and rules. However, in reality, it is a very peculiar language. With the right strategy and resources, you can easily master the language all by yourself. You just need to remember that it requires practice to hone any skill, and this is what you need to do while learning this language as well. Practice as much as you can and you will soon notice the difference. Not many people know this but there are many websites that can really help you learn the English language in the most effective and convenient way. One of the best website to learn this language is BBC English Learning where you can learn English for free. The website has various fun ways to teach the readers. They have various interactive games, quizzes, videos, grammar lessons and vocabulary quizzes that can use to learn English. The best thing about using this platform is that they update the material every day to keep it interesting and new for students. The website is designed for kids specifically, but it is also beneficial for adults who are beginners and want to learn the English language by understanding the basic concepts. This website provides a fun and interactive platform for parents to help their kids improve the English language. Though the website has both a free and paid version, we recommend you to start with the free version as it has lots of material to study and to start your lessons with. This website can help you build the sentences as well as to learn basic vocabulary. For all those adults who are looking for a beginner level course, using this platform is definitely the right choice to understand the concepts and rules of the English language. Quora is gaining popularity not only because of its interactive platform but for helping readers to learn and interact in the English language. 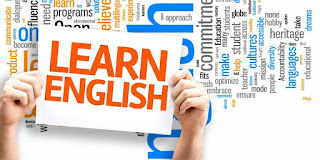 As it has users from all the corners of the world and the language used to write and interact is English, it is one of the best platforms where you can sharpen and learn the English language. All you need to do is to read as much as you can. You can also pick your areas of interest to keep yourself engaged. You can also pick new words and improve your vocabulary through Quora. While reading answers, pay keen attention to words usage, sentence framing and use of punctuation. You can also use comma checker by grammarlookup. This will prevent you from making comma errors. The platform does not only help you improve your reading abilities, but it is also a great platform to improve your writing skills. Start writing answers on Quora or interact with other Quorans as doing this will surely help you improve the English language. English Club is another great and free resource to learn English. The biggest benefit of using this website is that it can answer all your queries and doubts related to the English language instantly. If you have any question regarding grammar or vocabulary, then the English Club is the place where you can get all your answers. This platform has the most active English language communities. Unlike the other English forums, the community is quite fast and answers your questions immediately. No matter you need help in essay or writing a test, just type your doubts and questions to the forum, and your questions will be answered. TED is one of the most popular platforms where you can hear speakers sharing their ideas and thoughts in English. Though it is not a traditional learning English website, if you are someone with intermediate English language level skills, then TED have lots of videos to use. These videos can help you improve your listening as well as pronunciation skills. Watching these videos will also help you expand your vocabulary naturally. Another great benefit of using this platform is that it will help you improve your spoken English too. So watch TED videos and make your English learning process a lot more fun. Just remember, all the above-listed ways are the best and free resources that can help you learn the language from the comfort of your home. All you need to do is to follow them and practice it on a regular basis. Read books, interact in English with your friends and colleagues. Even the small steps you take will help you improve your English. So, start learning now.